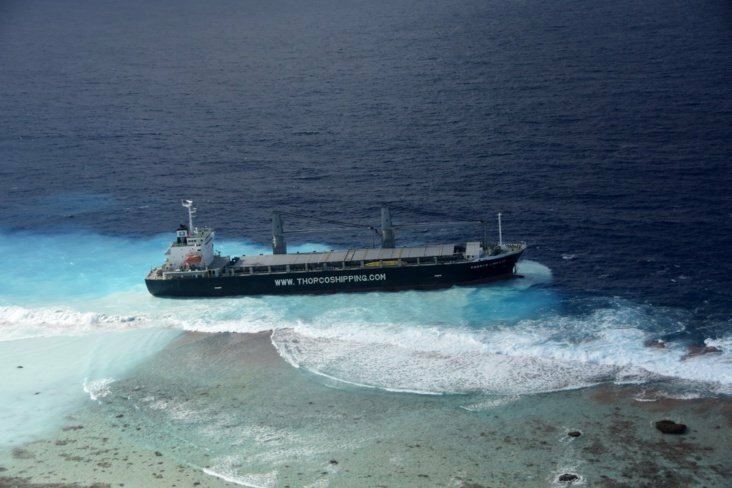 Initial checks by French armed forces suggest there has been no pollution from a severe grounding of a general cargo ship off an atoll in French Polynesia. The Thorco Lineage ran aground yesterday morning en route to Tasmania from the US. The crew remain onboard and a plane and a helicopter have been deployed to assess the situation. A salvor has yet to be appointed. The ship ran aground on the northern shore of Raroia Atoll, located 740 km northeast of Tahiti.